Email is one of the oldest and most important forms of online communication. It’s a service many of us use every single day. There are tons of email services and email apps that accompany them. Some may only have a single account on something like Gmail, Outlook, or Yahoo. Their individual apps will give you the best experience. However, most people have email apps from multiple providers and want something that can aggregate it all into one spot. 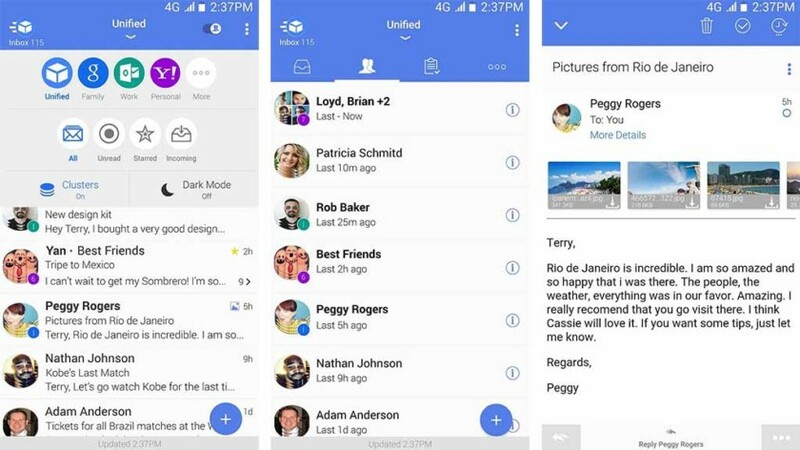 If you’re looking for something new, here are the best email apps for Android! 2018 was a rough year for email clients, as some of the best (such as Newton Mail, Inbox by Gmail, and Astro) went down in flames. We will miss them greatly. Gmail is a bit of a cheap pick for email apps. It comes pre-installed on most Android devices. Thus, you probably already have it. The app supports multiple inbox settings, multiple accounts, and more. It supports most email services as well, including Yahoo, Microsoft Outlook, and others. 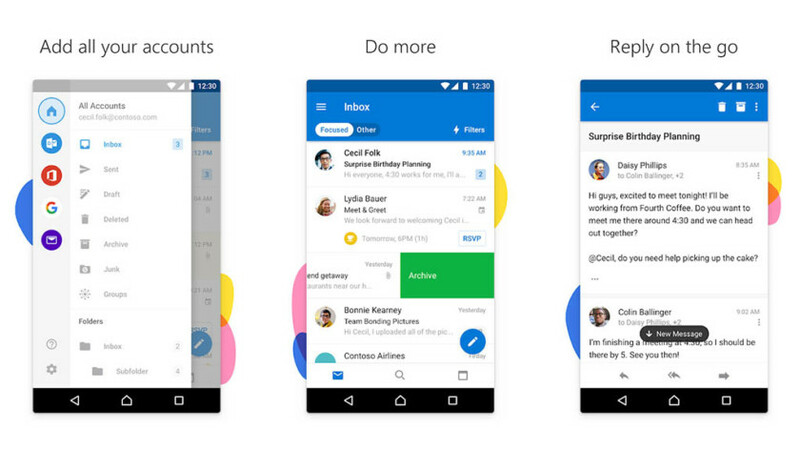 It also supports a unified inbox, Material Design, and more. This is about as good as free email apps get. This is also the stock email app on many Android devices these days so it doesn't take up extra space if you decide to stay with this one. K-9 Mail is one of the oldest email apps out there. Many enjoy it for its minimal interface, no BS experience, and unified inbox. It supports most IMAP, POP3, and Exchange 2003/2007 accounts. Otherwise, what you see is pretty much what you get. The app is also open source. You can build it yourself or contribute to the community via Github. It's definitely not flashy. However, it is functional and lightweight. It's also completely free. myMail is another solid email app with decent features. It supports Hotmail, Gmail, Yahoo, Outlook, AOL, iCloud, Exchange, and virtually any IMAP or POP3 services. It's also the main client for their email service at my.com. The feature set is rather basic. It includes ActiveSync, email signatures, easier file attachments, and folders. You won't get easily lost using this email app. It works as a standalone app for all of your email clients. However, you can also get a new email account through the app if you so choose. Nine is one of the better email apps out there if you’re concerned about security and also use Outlook. It boasts no server or cloud features whatsoever. The app just connects you to the email services. On top of that, it has support for Exchange ActiveSync which is to be expected for any app that boasts Exchange support. You have a variety of options, including selecting which folders you want to sync, Android Wear support, and more. It’s rather expensive as far as email clients goes, but it’s definitely geared more toward business users. We have some more app lists you might like here! ProtonMail is a great email client for security-minded folks. The app boasts end-to-end email encryption. That basically means the only two people who can read your emails are you and the person you're emailing. The app also boasts OpenPGP support, self-destructing emails (where supported), and most of the typical stuff like labels and organization features. This one does store emails on a server. However, that server is completely encrypted and no one can read them, not even ProtonMail. Many of the features require a ProtonMail account, but this is about as good as it gets in terms of security unless you set up your own server. TypeApp Email is a fairly run-of-the-mill email client. It does all of the stuff you would expect. That includes support for most email services, a unified inbox, push notifications, rich text emails, wireless printing support, and some other useful features as well. You also get Wear OS support, a dark mode, themes, and other customization features. It certainly won't blow your mind. However, it's a good, simple email app that does what it says it does. We also liked the Material Design UI in our testing and the relatively simple method of switching accounts. It reminds us a lot of Blue Mail in terms of its UI. In any case, it's good, it's just not exciting. Unroll.Me is a different type of email app. It's not an email client that shows email. However, it does hook into your email accounts to check out all of your subscriptions. It provides a simple list of subscriptions for you. You can then decide to unsubscribe from them so you no longer get all of that junk mail. You can also take the subscriptions you like and add them to the Rollup feature and see all of them all at once. It works fine most of the time, but there are some bugs. Cleanfox is another app that does this as well. One of the two of them should work for you. The thing is that most third party email apps work just fine. However, there is an advantage to just using the individual app for your email service. We listed Gmail above because it comes pre-installed on most devices anyway. However, others like Microsoft Outlook or Yahoo Mail don't. They hook directly into the service and can do things that third party clients simply can't. For instance, Outlook has a Focused Inbox feature that sorts emails based on importance. It also integrates directly with Microsoft's calendar service. 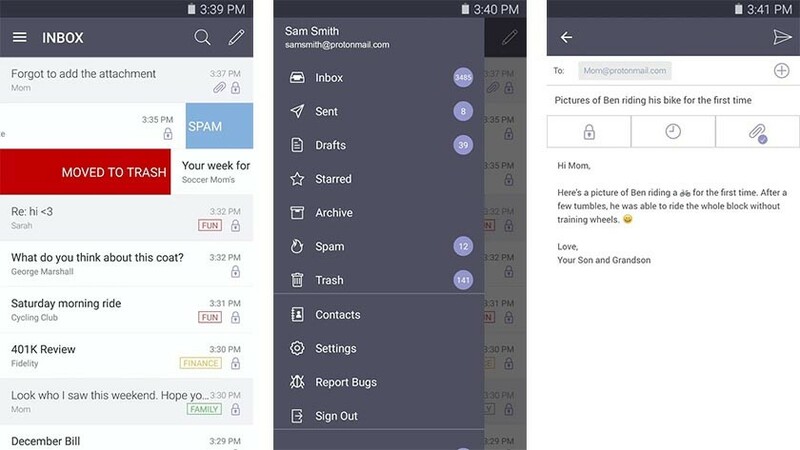 Yahoo Mail includes features like Travel View, more granular notification options, and theming. If you have only one email and it's not a Gmail account, you may want to consider using the official app so you can get the most out of it. The stock email apps that come on phones actually do work pretty well. They usually support the basics, like multiple email logins, various email clients, forwarding, archiving, deletion, and more. Many are likely on this list looking for something more than that. However, the stock email apps on your device are usually about as simple, clean, and easy as it gets. Additionally, virtually none of them have ads, cost any money, or anything like that. Plus, they're already on your phone anyway so they can't take up any extra storage. Most OEMs don't actually do this anymore because they just use Gmail as their stock client. However, some OEMs like Samsung still include a stock email app. 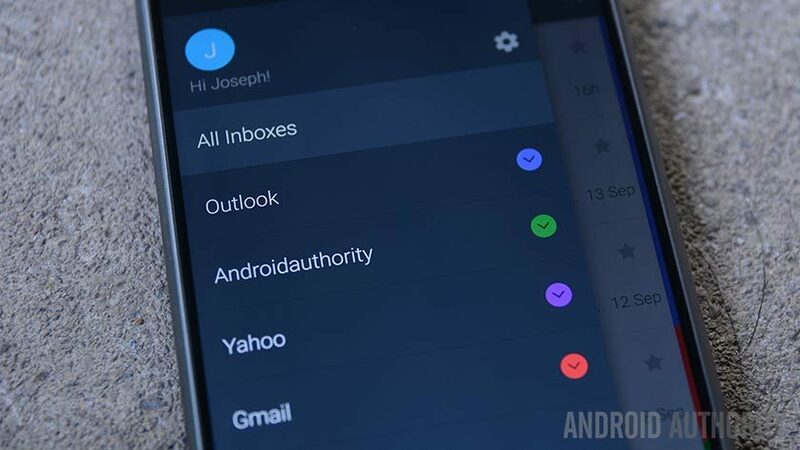 If we missed any of the best email apps for Android, tell us about them in the comments! You can also click here to check out our latest Android app and game lists!